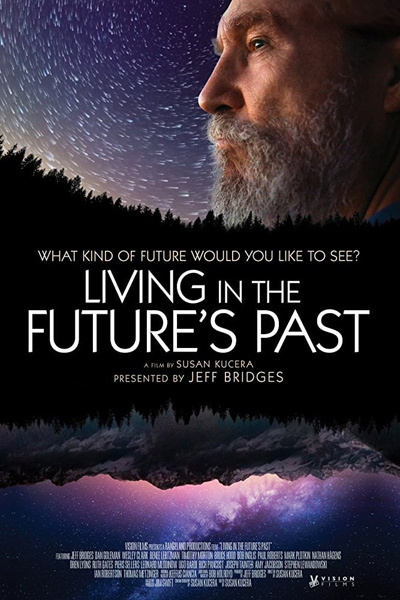 Rather than being an examination on specific anthropological wrongdoings, Living in Future's Past, explores the complexities of the human species’ role in relation to nature by discussing such topics as energy, evolution, ecology, and psychology. This environmental documentary weaves together images of nature as a poignant reminder of the fragility of species. This imagery is coupled with interviews from scientists and experts around the world with the intent to explain what motivates humans and why our behaviors led us to the environmental predicament in which we currently reside. The film explores, through a series of sobering interviews, why a species capable of manufacturing nature, cannot or will not come together to deal with the consequences. We are taken on a journey through human history, to examine the successful survival of humans due to our ability to utilize natural resources to more easily produce energy. With the discovery of agriculture, humans were able to form civilizations and with the subsequent discovery of fossil fuels energy production maximized, more humans were able to move into urban areas, build expansive cities, and work on technological advancements. We have become dependent on a finite energy source and separated from the true cost of everything we do… This documentary comes at a time when it is truly needed, though the question remains can we as a species come together and claim responsibility for our actions?